Create a story basket full of storytelling props to retell favourite fairy tales together in a playful way! 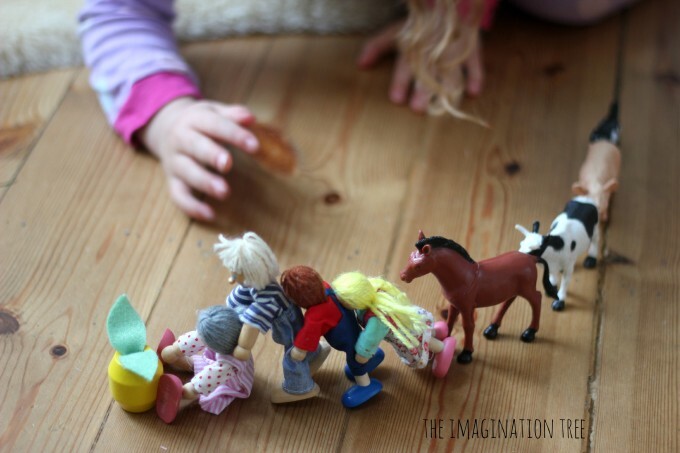 So easy to set up with items from around the house and beneficial for so many strands of early literacy development. 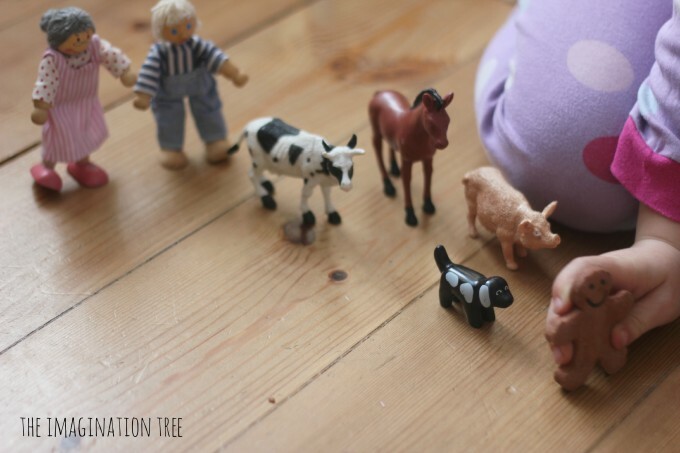 As part of our on-going Playful Storytelling series, co-hosted with the gorgeous blog, One Perfect Day, we are presenting fun ways to explore fairy tales with kids. 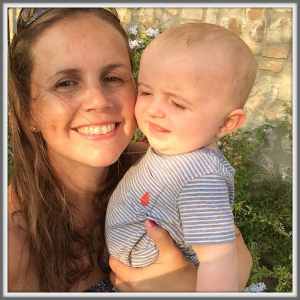 My children love traditional tales and they are my favourite type of story too because they can be told without books, thus celebrating and practising the essential art of oral storytelling together. Being able to tell a story without a book encourages greater eye contact, intonation and variation in voice, use of richer vocabulary and a closer bond during the process. Not to mention the simple fact that it means you can tell the stories wherever you are with no books needed, be it in the car, on a walk or waiting for an appointment! 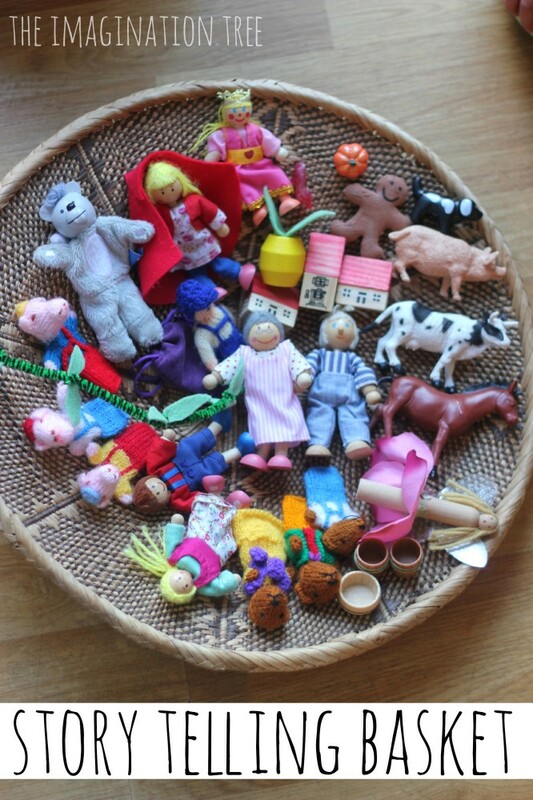 To make our story telling basket we scoured our toy baskets and small world toy collections for a range of popular characters who turn up frequently in some of the most common fairy tales that we could think of. Grandma and a wolf appear in many, so they were a great first addition, followed by a little boy and girl, some farm animals and a small salt dough gingerbread man we made at Christmas time. 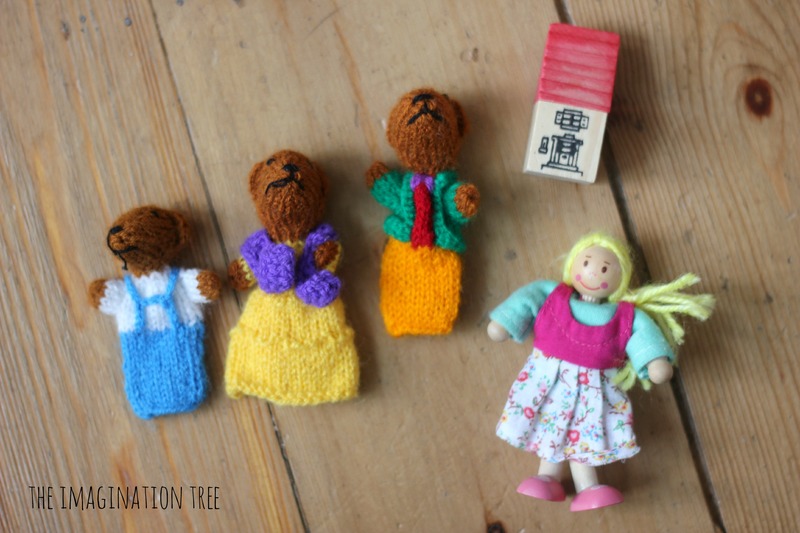 We also found some little wooden houses, a glass slipper, a pumpkin and turnip, bowls for the three bears and a red cape, quickly cut and glued together from a scrap of felt. 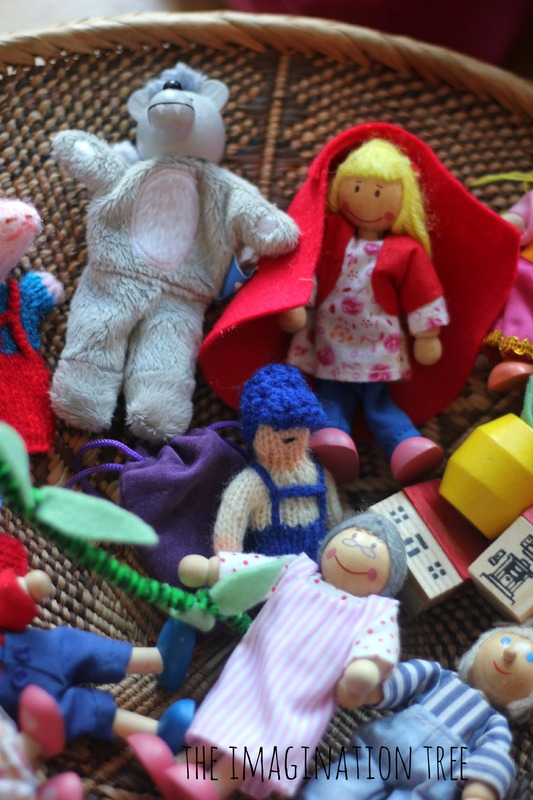 We have some gorgeous collections of tiny knitted finger puppets (company no longer in business I’m afraid) and these were perfect amongst our other props, especially the three little pigs and the three bears. 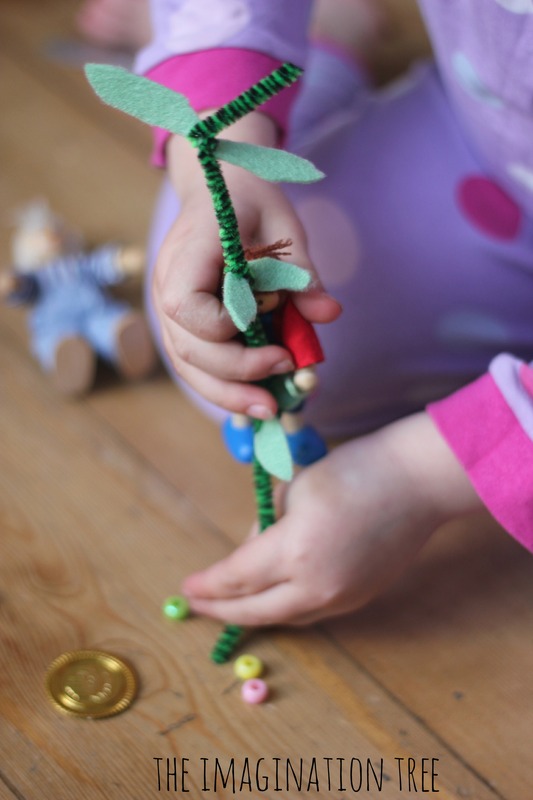 I made a really simple beanstalk by twisting some small green felt leaves around a pipe cleaner and popped some coloured pony beads into a tiny velvet pouch to represent magic beans, from the Jack and the Beanstalk story. Then we had a go at mixing up the fairy tales, mixing and matching the elements from the stories to come up with some silly, fun combinations! We had Goldilocks climbing the beanstalk, Little Red Riding Hood going into the three bears’ cottage and the wolf and grandma making good friends with each other! The girls went into fits of giggles every time we suggested another silly storyline, and became more confident at making up their own. Cakie asked to make her stories into a book, so I made her one from simple folded paper and she drew pictures of the funny fairy tales and added her own annotations. 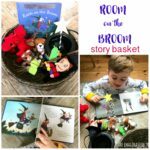 We are planning to make some more of these collaboratively as we use the storytelling basket more, and to read them back during story times together. 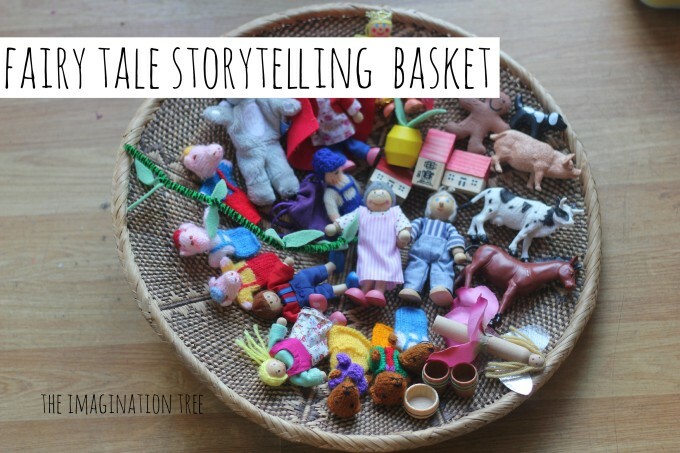 What stories would you put in your basket? Have you got something similar at home or in your classroom? 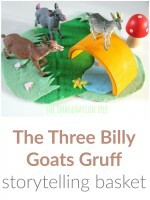 See our Little Red Riding Hood Dramatic play here! Check out the Three Little Pigs Dramatic Storytelling from One Perfect Day here! 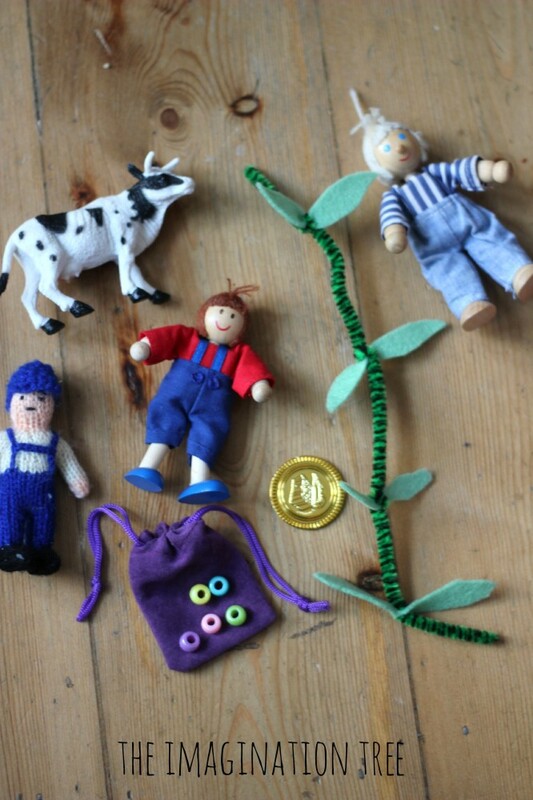 Follow our Playful Storytelling Pinterest board here to keep up with our on-going early literacy series. I love this and could really use this with my daughter and my kinder class. 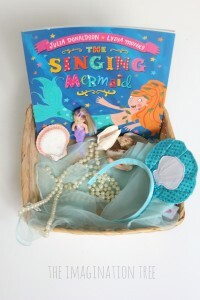 Have you seen anywhere (or thought about doing this yourself) where you could buy a little storytelling basket kit ready to go? This is completely adorable! So many possibilities. I love the idea of the collaborative story books as well. (and that miniature house is just too sweet). What a fabulous idea. We have those eboo story cards that have characters and places and things on them to create a story by choosing a card, but this takes it to the next level! I really love this ideal. I did a mini play with my daughter to see if it will work for her birthday party and she had a ball, sooo I will be using this ideal for her Diva Party! A very nice idea. 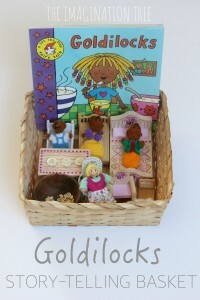 I love the size of the items, so suitable for the kids’ little hands. 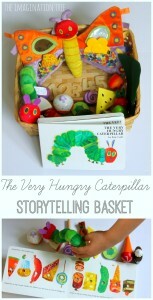 I am eager to create my own fairytale basket. This is a delightful idea that’s already getting my creative juices flowing. 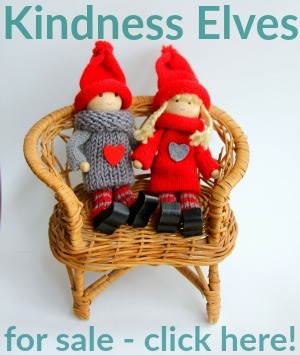 Can you provide a list of stores or online retailers where knitted figures like the ones pictured can be purchased?